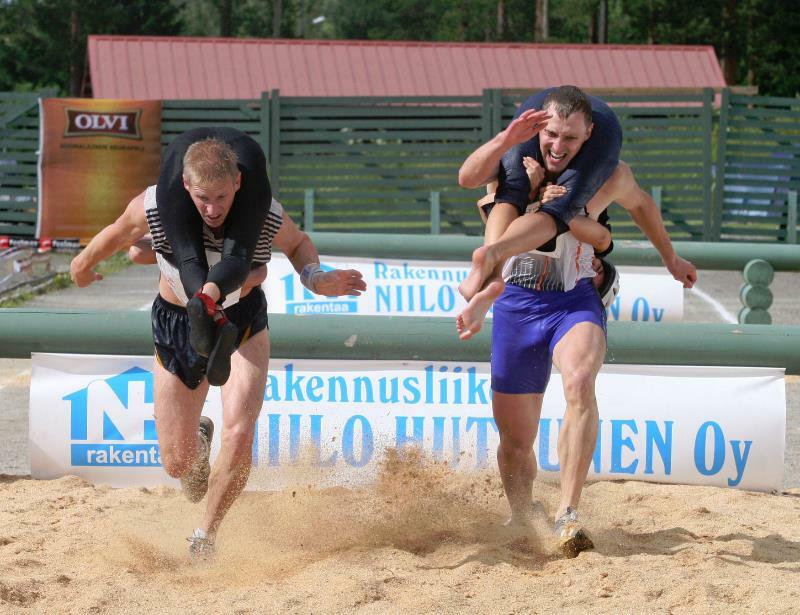 The Wife Carrying World Championship was held on July 6 in Sonkajaervi, Finland. Almost 50 pairs from 10 different countries took part. Taisto Miettinen and Kristiina Haapanen (from Finland) won the competition. The pair was the winner the last four years also. The name of the competition gives away what the sport is about – a man carries his female teammate and runs through an obstacle course which includes water, sand, and more. The Championship has been held every July in Finland since 1992. The sport started in Finland and is thought to be based on some old tales where men went to villages and ran away carrying women. Now the sport is played in many countries around the globe (including United States, China, and Australia). Finland has some very unique world championships – the Mobile Phone Throwing World Championship (who can throw a mobile phone the farthest) and the Sauna World Championship (who can sit in a sauna for the longest time).